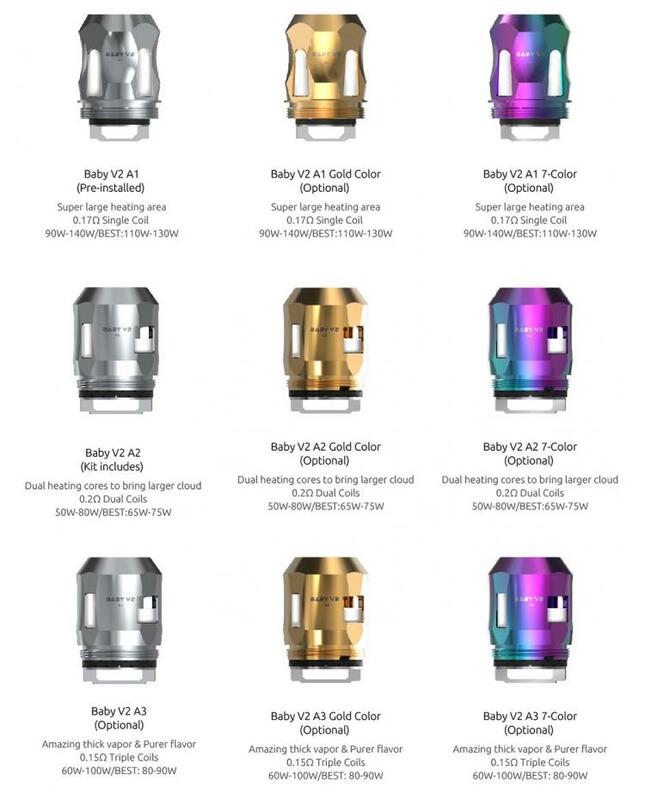 The Replacement Coils specially designed for TFV8 baby V2 tanks, each pack includes 3pcs coil heads, vapers can choose the baby V2 A1, baby V2 A2, and baby V2 A3. the baby V2 A1 has a big hole inside, in which you can see a large piece of mesh covered with organic cotton, the design is simple yet have an unprecedented excellent effect, vapers will feel faster heating process and greater taste. the baby V2 A2 has two holes inside, both of the holes have cobra mesh covered, the design can help to bring more airflow and offer the massive cloud of vapor. the baby V2 A3 has three separate heating coils inside, combining with 3 larger airflow slots at the bottom of the tank, more air can be straightly brought in when you fire to vape, three coils will heat simultaneously, will bring you unprecedented huge and thick cloud vapor. 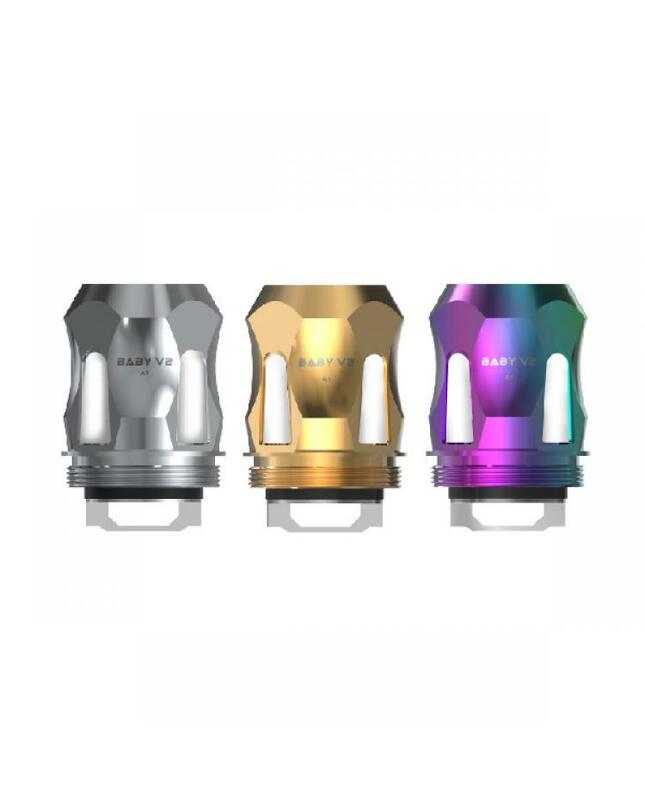 each coil has the stainless steel, gold and rainbow colors selectable.